The positioning of speakers can often be a topic of hot debate. Here are a few suggestions to get the best out of your system. A very dramatic statement indeed, but a true one at that! Many people assume that the only way to improve the sound they hear from their speakers is to change something around in your system. A new DAC? Sure, that might work. A better amplifier? If you can afford one, why not? Perhaps a new pair of speakers altogether? Possibly, but there could be a much simpler solution to this problem. An often overlooked fact is that aside from the technology inside a pair of speakers, slight alterations to their positioning within a room can make dramatic improvements to the overall sound. And save you an absolute fortune! There a few things to consider when positioning your speakers which we will look at below. However, note that everyone has their own preferences, so there is no definitive answer as to where your speakers should be. Every room is different – don’t panic if your living room isn’t set up like an anechoic chamber! At Cambridge Audio we develop and test the equipment we make in a great variety of ways: measurements, blind listening and of course the most important (and obviously most fun) taking home products to listen to in our own homes. Acoustics will differ in every room and unless you have the luxury of designing your own personal cinema, it probably wasn’t designed to give you the best audio experience man can encounter. This is why we test our equipment in real homes and in realistic situations, giving us an idea of what they can sound like and what is possible. Speakers should be laid out so that they play along the length of the room. If you have a surround-sound system for your TV in mind, your chair or sofa should ideally be placed nearer the middle of the room and not too close to the back wall. This might sound obvious… but avoid placing items directly in front of your speakers! Time after time we’ve seen DVD stacks the size of The Shard in front of speakers or hidden away in corners surrounded by furniture. It’s a sure-fire way of distorting the sound and ruining the listening experience! Whether you have your speakers stand-mounted, on a shelf or wall-mounted, remember that speakers are generally designed so that they sound best when they are level with your ears when you are listening to them. Try to leave space between the wall and the speaker. You will notice an improvement in your mid-range and mid-bass. If you’re thinking about a surround sound system, we recommend you place your subwoofer at least 30cm from a corner to prevent unnecessary reverberation and echo. If you mount your speakers on a desk or shelf it is best to place them on a layer of foam or a similarly absorptive material. This prevents the entire desk from reverberating and helps isolate the sounds you actually wish to hear from those you don’t. Some manufacturers develop their speakers so that toe-in is not required, so the following will also vary depending on speaker brand. It’s best to speak to your local dealer if you’re interested in learning more about what suits your system. While the below advice is generally accepted as helping set up speakers effectively in most environments it does require practice as differences are subtle. Also note that it is best to do this once the speakers are fully ‘run in’ so that the sound characteristics from the speakers will not change and require re-positioning after they are run-in. 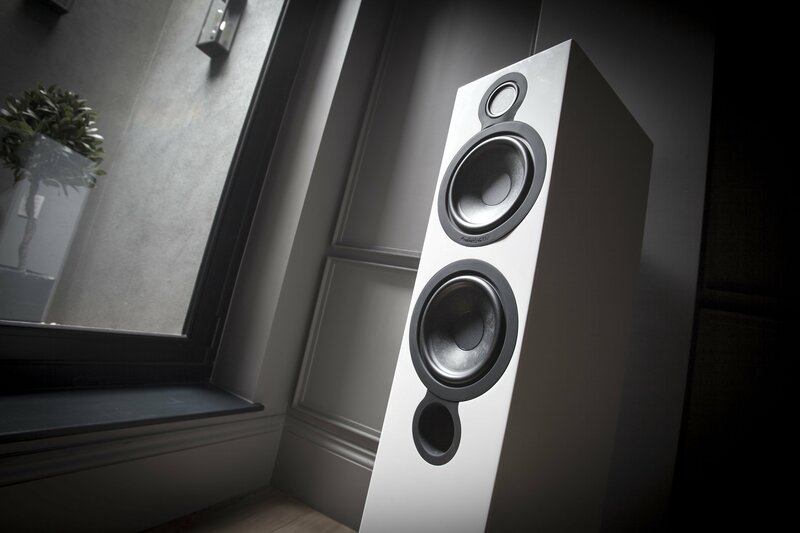 Firstly place your speakers right up against the wall, flat out (not toed in), and the appropriate distance apart (usually 1.5 – 2.5m depending on relative listening position and aesthetics). With the speakers in this position listen to a relatively detailed, familiar 30 second part of a track – the more familiar you are with it the better, as this will help you decide what sounds best. Now move each speaker out from the wall by an inch or so and repeat the process with the same part of the track as a comparison – the sound will be usually be slightly better. Next move the speakers out another inch or so and repeat the process again – the sound will probably be better again. You will eventually reach a point where the sound starts to get worse, rather than better, as the distance from the wall gradually increases, step by step. Put the speakers back in the last position before the sound started to get worse (where they sounded best to you) – this is the correct distance away from the wall for your tastes. Now repeat exactly the same process with varying degrees of toe in. You will find that as you toe the speakers inwards, step by step, at increasing angles of toe, the sound will get better and better, and then worse again as they become toed in too much. Place them back in the last position where they sounded best. This is the correct degree of toe for you. You have now set your speakers up correctly for your room. While the above is a list of some of our recommendations, remember that there is no hard and fast rule for speaker or subwoofer placement. There are countless variables that will have influence the sound such as furnishings, room size/shape and the most important of all listener preference. Don’t forget that you’re setting them up for YOUR use, so experiment and see what works best for you.